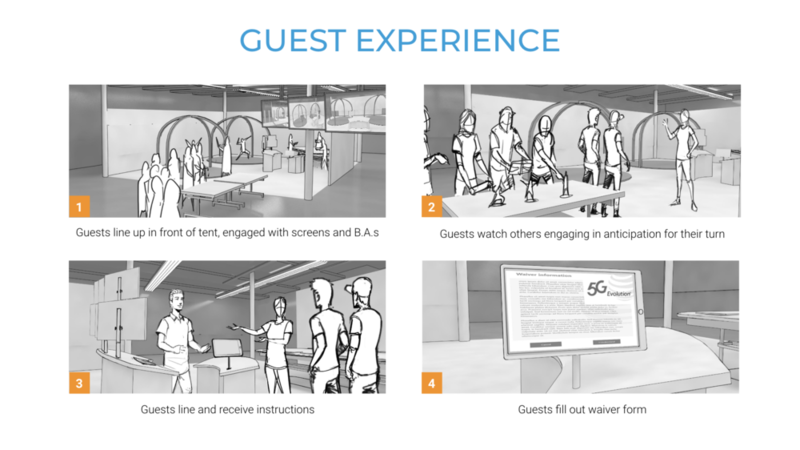 This was a rendering created for an experiential event for college football between Jaunt and AT&T. Jaunt is a company that creates augmented and virtual reality experiences using the latest technology. 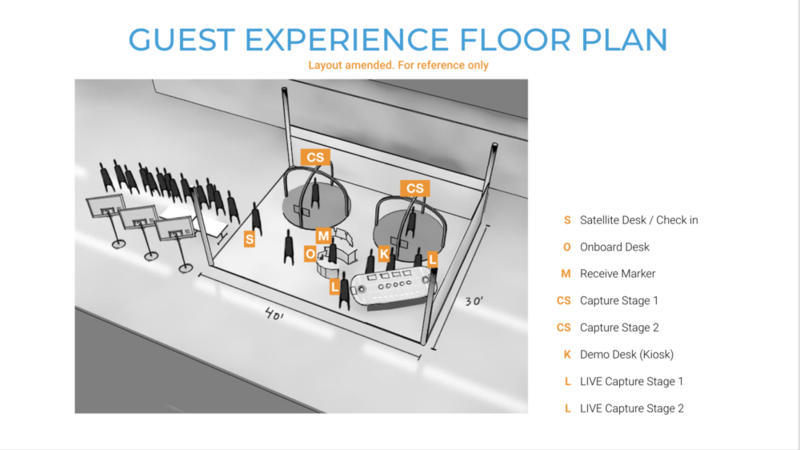 My role was to create the 3D rendering of the space to give AT&T an idea of how the event would look. This rendering assisted the production team in conveying the vision of the event to the client as well as ensure that everything would fit well in the space. According to floorplans and measurements I was given, I created an accurate rendering to depict the event, which was utilized during client meeting. I worked closely with the project manager to ensure all details were captured and portrayed as accurately as possible. Above are plans provided to me from the client, Jaunt. They developed these sketches to illustrate their vision. It was my job to bring these to life in a 3D rendering. This project moved quickly, so only two rounds of renderings were necessary. To the left are three shots of the space in use during the event, captured on Jaunt’s instagram story.